Buddha Wall Hanging - 32" x 32"
Individually hand-painted & batiked on 100% highest quality rayon. Size: 32"x 32". 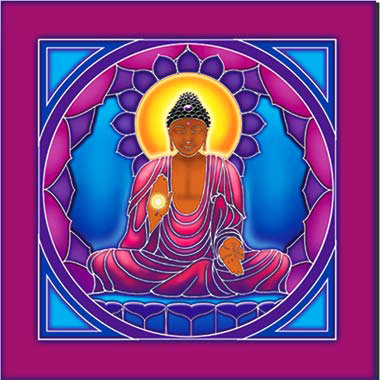 Good Karma Flags artists design these wonderful wall hangings with uplifting images from nature themes, spiritual themes, yoga designs, and a wide eclectic range of beautiful and colorful handpainted images for use in the home, work, yoga studios, and any environment.